Gifts of real estate and personal property can be quite complicated for all parties involved. 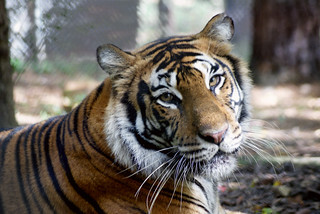 If you have a property that you would like to give to Carolina Tiger Rescue, please contact us for more information before designating this as part of your estate plan. If you do make Carolina Tiger Rescue a beneficiary of a gift of real estate or personal property, please let us know so that we may thank you and include you among our Sanctuary Stewards. For more information about making a gift of real estate or personal property to Carolina Tiger Rescue, please contact Heidi Zangara, Planned Giving Manager.